Another year and another Remembrance Sunday Service. 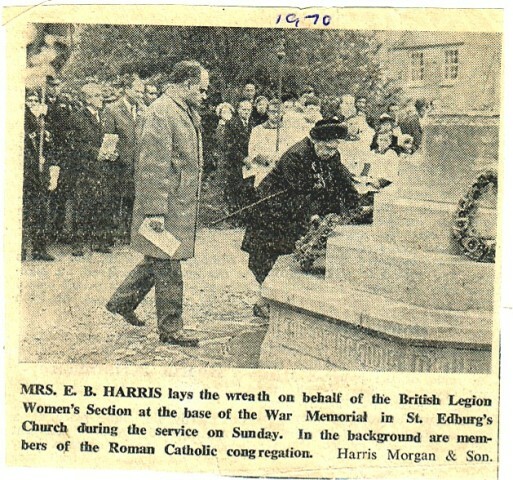 Again drawn up behind Mrs. E.B.Harris, who is laying the wreath, is the party from the Catholic church with Gerry Wright holding the Cross. Thank you again to Gerry Wright for saving the newspaper cutting.